Your septic tank is an item that often goes unnoticed, that is, until there is a problem. An issue with your septic tank can lead to other problems with your lawn and home. It’s best to avoid any problems arising by scheduling routine pump outs and maintenance. Luckily, if you live in Dade County, the experts at Coker Septic have your back. We offer a variety of septic tank services for both homeowners and small businesses. If you’re interested in preventing costly problems in the future, contact us to schedule an appointment today! When you have problems with your septic tank, you shouldn’t settle for anything less than the best. Our experts at Coker Septic can help you avoid problems and keep your system running smoothly. With your septic tank out of sight, you often forget that it’s there and that it requires regular maintenance to function properly. At Coker Septic, we pride ourselves in offering a variety of septic tank services, including: cleaning and pump outs, grease trap cleaning and pump outs, parking lot drain cleaning, drainfield maintenance, and more! Our services are designed to make it easier to care for your septic tank and avoid problems arising in the future. 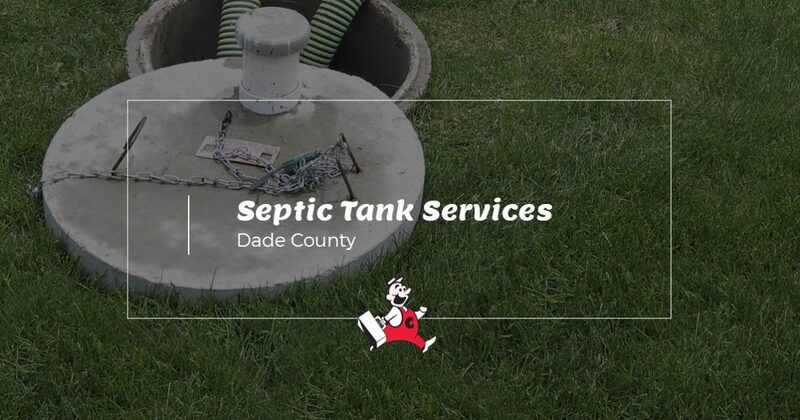 If you live in Dade County or the areas listed above, don’t neglect your septic tank. Browse our website to learn more about our Top Rated Local® septic tank services and contact Coker Septic to schedule an appointment for a cleaning or pump out today!